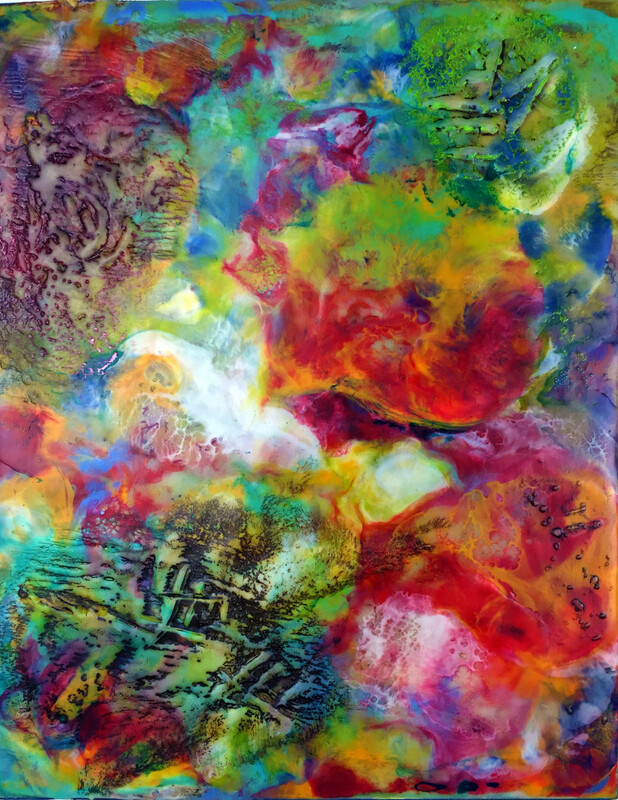 I love to play with the expansion of colors by over fusing the wax. It allows me to create some soft bands of transparent color, and also lets me build layers of exploded color and texture. As I was developing this piece, I was thinking about Renaissance artists and how they created skies that explode with energy. “Not a Word Was Spoken” is 8″ x 10″ Encaustic and Oil on a cradled birch panel.